A frameless bevelled mirror with a central raised diamond shaped mirror. Overall size.92X67cm. 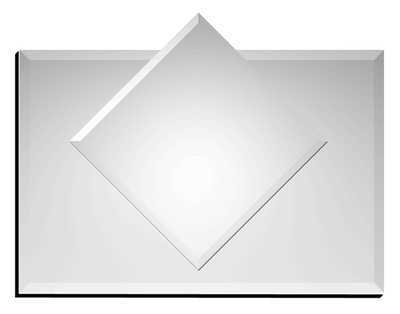 A frameless bevelled mirror with a raised diamond shaped bevelled mirror.